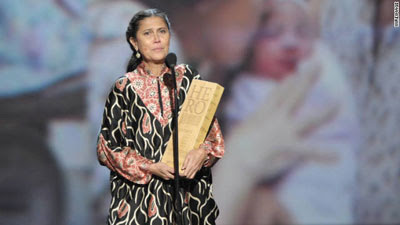 CNN named its 2011 Hero of the Year and she’s none other than Filipino-American midwife Robin Lim. She received the award last Sunday in a ceremony at The Shrine Auditorium in Los Angeles from Anderson Cooper. 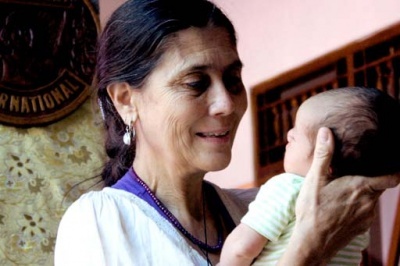 Lim or Mother Robin as she is fondly called has been running her free clinics Yayasan Bumi Sehat (Healthy Mother Earth) in Bali and Aceh, Indonesia with other Indonesian midwives since 2003 providing free prenatal and birthing services for poor Indonesian women. They also provide training for young midwives. 54-year-old Lim, born to a Filipino mother and an American father, bested 9 other finalists from around the world. According to CNN, Lim, who was raised in the Philippines, put up “birthing sanctuaries” for Indonesians in need of maternal and general health care. In her “Meet the Hero” interview, Lim said it is common in Indonesia to hold babies in the hospital until the bills have been paid. Lim said mothers should only worry about delivering their babies safely and not about how they should pay the hospital where they gave birth. Lim brought home $250,000 for being named the 5th CNN Hero of the Year after the 11-week online poll via CNN’s official website. Earlier, Lim received $50,000 after being chosen as one of the 10 finalists. In 2009, Filipino Efren Peñaflorida was named CNN Hero of the Year for his Kariton classroom project, which brought the classrooms to children in the streets.